Moringa tree leaves / Drumstick tree leaves is a miracle leaf which is native to India but is planted around the world. 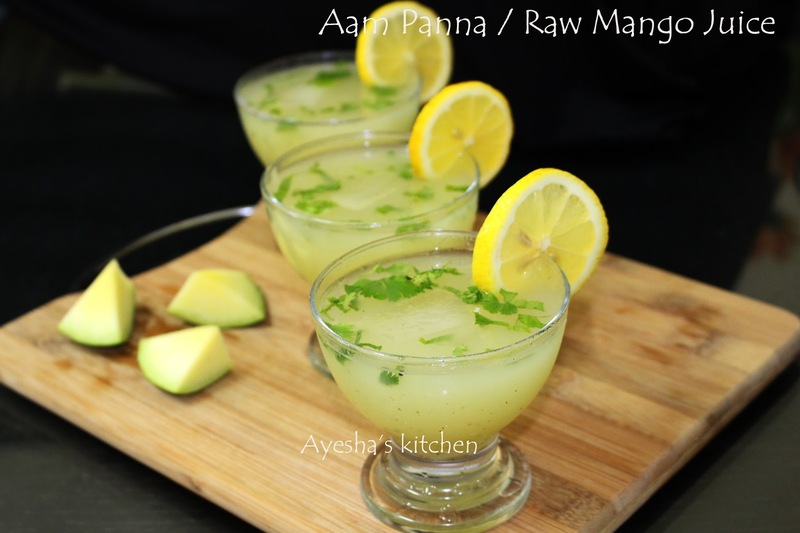 It is one of the powerful health-enhancing plants as it contains tons of health benefits. 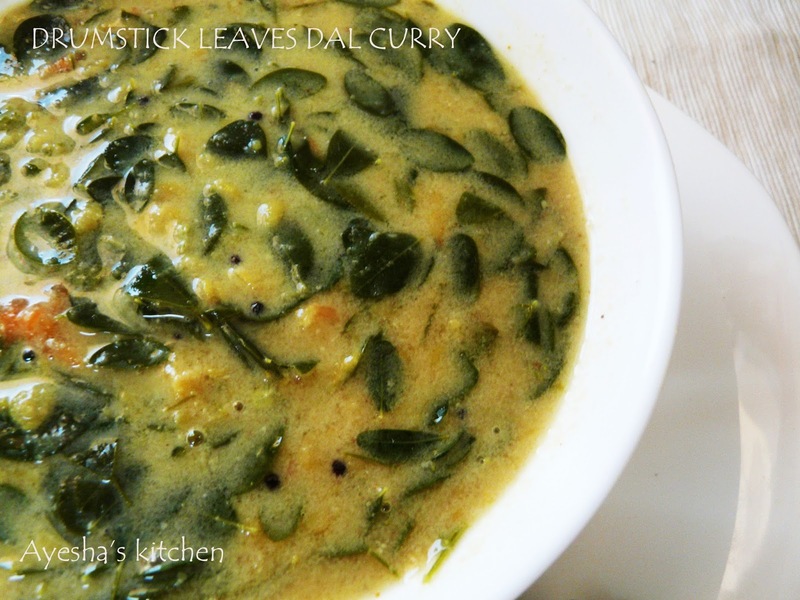 In Ayurveda, it is said that around 300 and more diseases are treated with the leaves of Moringa/drumstick leaves. Almost all parts of the Moringa / Drumstick tree is medicinal. 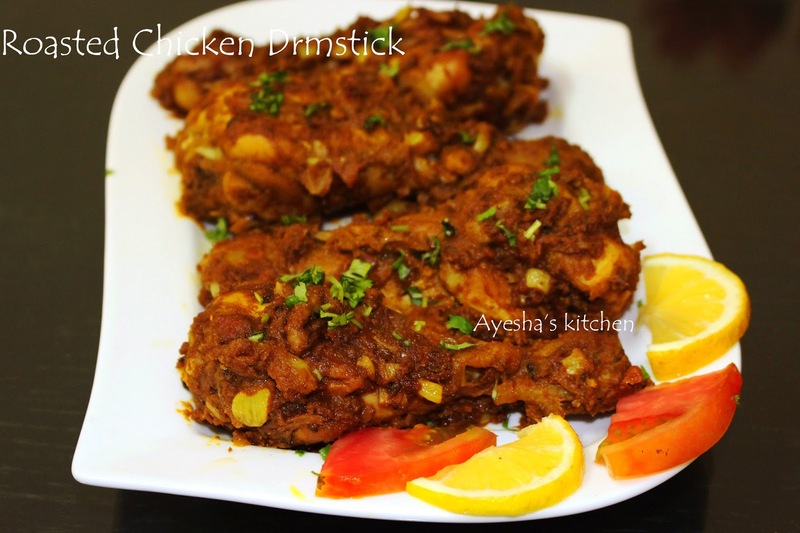 Recent scientific research has proven that drumstick leaves are a power house of nutritional values. Let's know about drumstick leaves nutrition/moringa leaves nutrition. Moringa leaves is a natural energy booster and is sustainable energy as it is not based on sugar. The other benefits are it helps to lower blood pressure, it is a sleep aid, fight against bacteria, and more than that a rich source of multi vitamins like 7 times the vitamin C of oranges, 4 times the calcium of milk, 4 times the vitamin A of carrots, 3 times the potassium of banana, 2 times the protein of yogurt....and the list goes on... A single cup of moringa leaves contains all these nutrients which are very essential for our body. My family's love towards green leafy vegetables is uncontrollable. Even my daughter loves to have leafy veggies like pumpkin leaf, long beans leaf, bottle gourd leaf and she even named it as the Chocolate leaf. 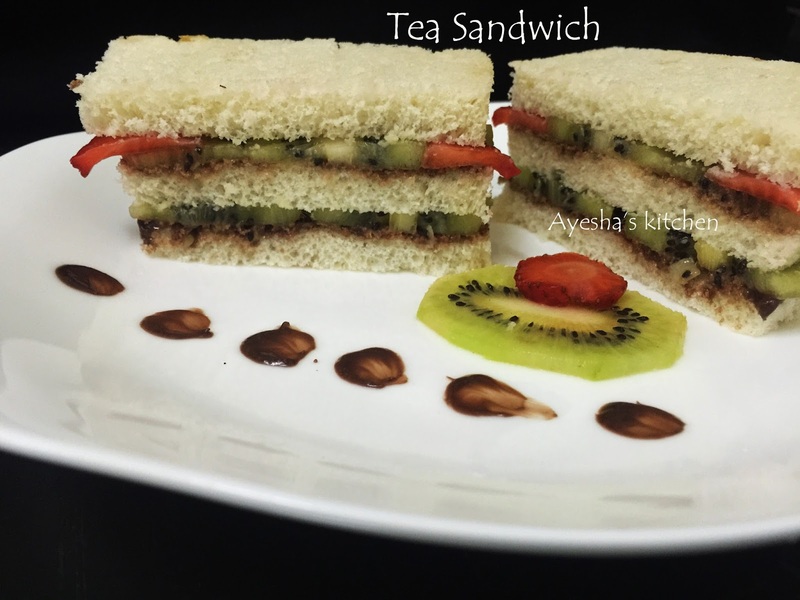 Unfortunately, she is allergic to moringa leaves. So even she loves to eat, we won't give her. 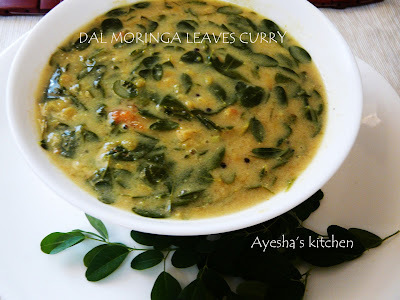 I used to make chammanthi (condiment), Moringa parippu curry (dal moringa curry), Moringa thoran (stir fried drumstick leaves), moringa thalichathu with drumstick leaves.Here is my easy and healthy recipe for Dal moringa leaves curry with coconut / Indian cooking recipes. It's very delicious when served with hot white rice. Enjoy!!! Wash well and drain the water. Now cook the masoor dal, tomato, chili, turmeric powder, chili powder with half a cup of water until dal is well cooked and mushy. When done add the moringa leaves to it along with salt (little) and again cook for another10 minutes (until the leaf is cooked) in a medium flame. Add water if needed. Meanwhile grind together coconut, cumin seed, and shallots with only less than half a cup of water to a fine paste. When done, Set aside. When moringa leaf is done and the gravy comes to a thick gravy consistency, then add the coconut paste to it. Mix well. Check for salt. When it starts to bubble (before it starts to boil), remove from flame. 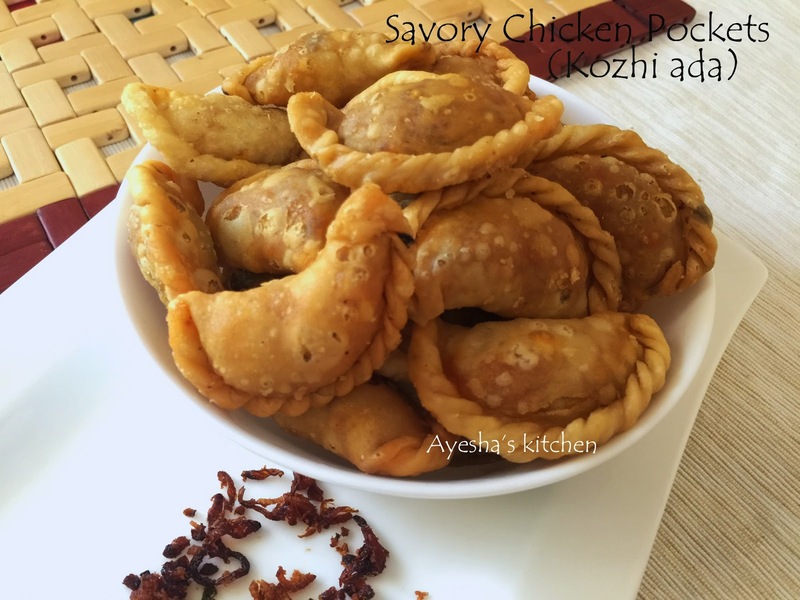 Do not allow it to boil more after adding coconut mixture. Now heat oil in a pan, splutter mustard seeds, curry leaves and pour it over the prepared curry. Delicious healthy parippu muringayila curry ready. 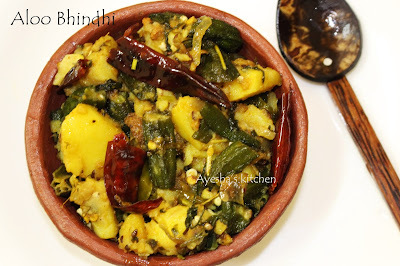 Hi friends..Here am sharing an authentic Aloo bhindi masala. 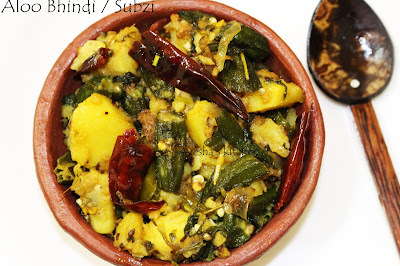 Still there are many ways of making Alu bhindi masala / aloo bindhi sabzi . A spicy, dry and easy to make Sabzi recipe with potato and lady's finger. Aloo bhindi is a dry side dish from North India. I love the potato and okra combination. As we all know that Aloo and Bhindi are the two main veggies in Indian cooking and we make variety of various delicious dishes with the same. So lets see how to make Aloo bhindi subzi / Aloo Bindi masala. ENJOY. Heat a pan with oil and when hot add cumin seed, fennel seed and when they crackle, add green chilly and dried red chilly along with the onion. Saute well until onion becomes translucent and then add tomato. Cook until tomato becomes mushy. Now add the diced potato and cook for 10 minutes or until potatoes become tender. (you can also pressure cook the aloo without peeling for one whistle and then peeled and finally diced. If so, the potatoes will be cooked well easily). Stir occasionally. Now add Okra / Lady's finger and cook until tender (8 minutes). (okra is adding at the end to avoid the mushy and slimy). When okra is done, add the spice powders such as turmeric powder, coriander powder, garam masala and combine very well. Check for salt and add kasuri methi, chopped coriander leaves and cook until all the masalas are well incorporated to the veggies. Serve hot with bread, poori or white rice. 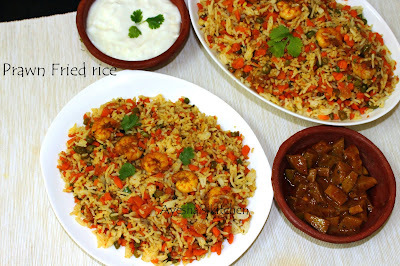 Hi foodies..Here is the recipe of a quick fried rice with Prawns. 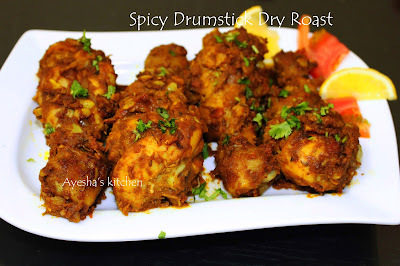 As am a picky fish eater, Prawns dishes became my favorite seafood and i love to try new recipes with prawns. The secret behind good fried rice is the use of cold cooked rice. Always try to use the rice which is cooked and refrigerated for the perfect texture and flavor of fried rice. Here is my recipe for Prawns fried rice. 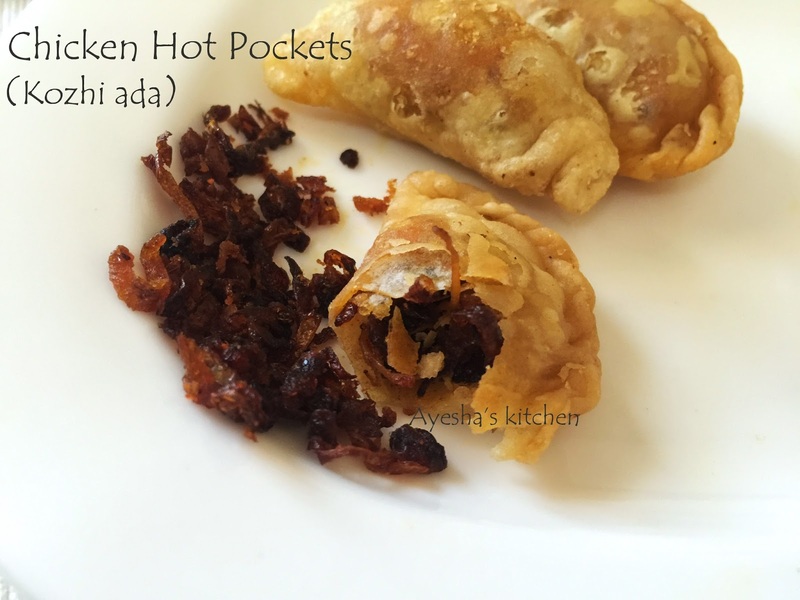 Its very easy and of course tasty, as we all love eating fried rice at least once in a week. Lets see how to make Prawn fried rice. Enjoy!!! Marinate the cleaned prawns with half tsp chili powder, half tsp coriander powder and half tsp turmeric powder along with some salt. Fry the prawns and set aside. Heat 4 tbsp ghee / butter in a pan and add the chopped onion. After a while add ginger garlic paste and then add chopped beans . Cook with lid closed. Cook till the beans is half done and then add chopped carrot ( add vegetables according to your taste). Saute well and when done add soy sauce ( you can add more or less according to your taste). And add chopped coriander and pepper powder. Now add the fried prawns to it and mix well. Finally add the cooked rice and spread it evenly all over the pan. Cook on medium high flame for 1 minute. Combine again, spread out and again leave on medium high flame for another one minute. Toss well on high flame for seconds and off the flame. 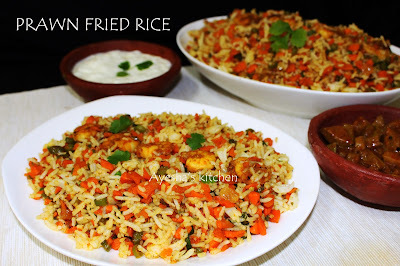 Serve this yummy fried rice with curd, pickles, condiment etc..
Clean and wash the rice (2 CUPS) and drain it. Keep it aside. When hot add cardamom, cloves, cinnamon stick, fennel seed to the same vessel. Saute for a while . Then put the rice to it and mix well.Make the flame to medium low and close the lid. Fry the rice well . 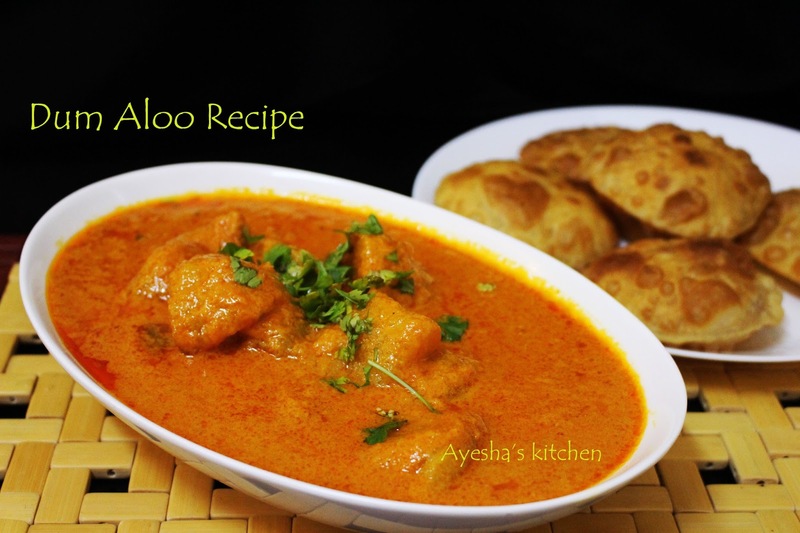 Once cooled, take a bowl, drop some rice to it, add some masala , again drop some rice, then masala and continue until fully completed. The fish egg which is known as Roe - the fully ripened unfertilized egg of a fish. Roe is used as a food item all around the world. The Caviar of Sturgeon Roe is the most expensive among them. In Kerala, India fish egg is commonly called as Parinjil, Pananjil, Meen mutta and so on. It is fed to small kids for their good health. As it is a rich source of Vitamins, Roe is given to the nursing woman as a nutrient food. Some of the various varieties of Fish egg preparations are Pananjil porichath, Roe omelet, Roe roast, Stir fried Roe, Meen mutta fry, Meen mutta roast, etc. When thinking about its nutritional value, it is much valuable. A tiny egg contains an abundance of essential nutrients which are needed for growth and development. Fish Roe contains vitamins and minerals which help to maintain healthy skin, good vision, promote growth and bone development. 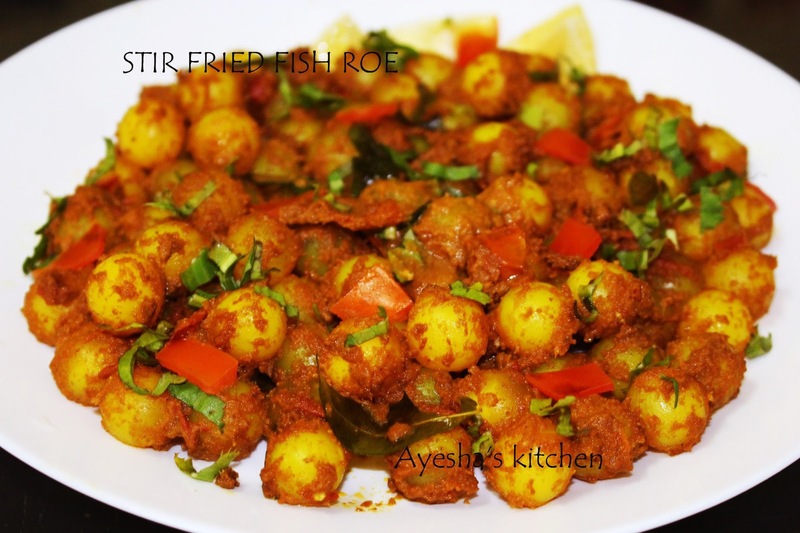 Here is a wonderfully delicious recipe showing how to make fish egg fry/ Fish Roe perfectly. Clean the fish egg well and drain the excess water. Marinate it with half a tsp turmeric powder and required salt. 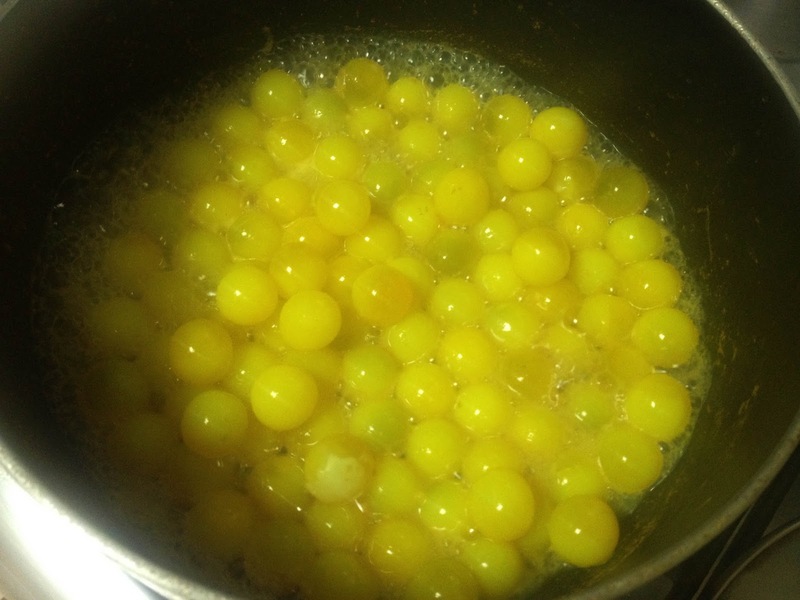 Boil the eggs along with half a cup of water for 5-8 minutes or until all the water gets evaporated. Do not add more water for boiling. When done, transfer it to a plate. Now in the same wok/vessel, add 2 tbsp of oil and when hot, add the sliced tomato. Cook the tomato until mushy and when done, add salt and ginger garlic paste. Saute it till the raw smell disappears. Now add 1 tsp turmeric powder, chili powder, coriander powder and mix well. Then cook for 2 minutes. Do not add water. 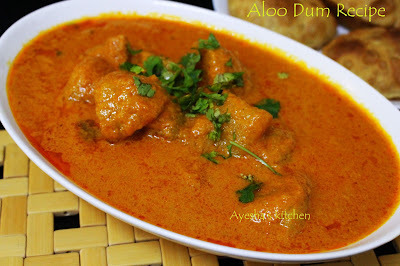 Finally, add the cooked fish eggs to this gravy along with curry leaves. 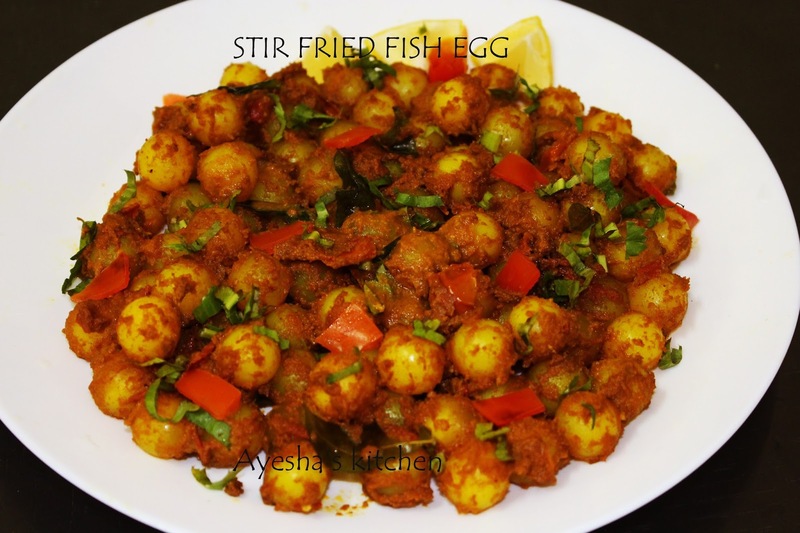 Stir continuously until the eggs are coated well in the thick gravy. 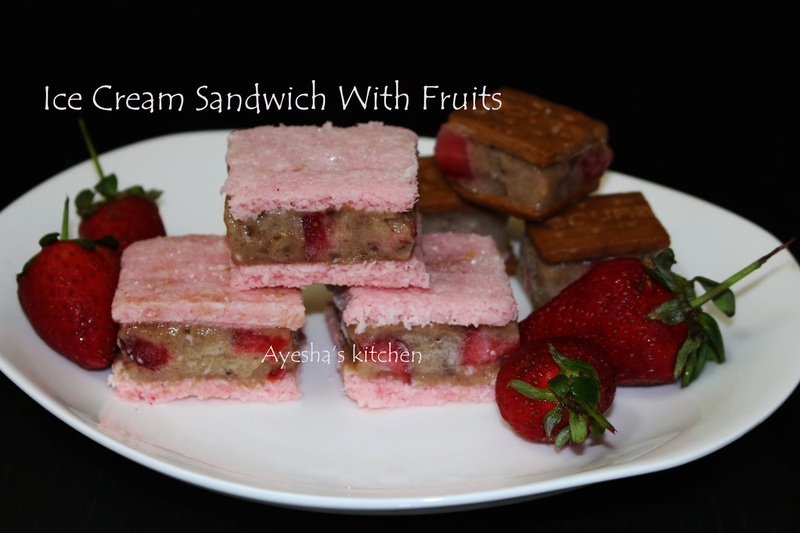 Here is a quick and easiest dessert that looks superb and tastes fabulous with only 3 ingredients. Food is a delight. But nothing beats slowly eating a bowl of our favorite flavor of ice cream and letting them to soak in our taste buds. No matter how big the meal is, i always have a room for ice cream.. How about an ice cream served with a cake base...hoooo...!!! for sure it will create a sinful mixture in our mouth. The flavors each stand out on their own. 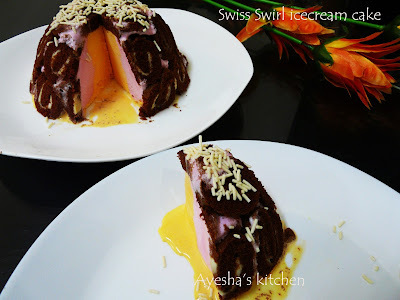 An easy ice cream cake recipe / ice cream rolls / ice cream cake. You can also make chocolate ice cream cake roll the same way. 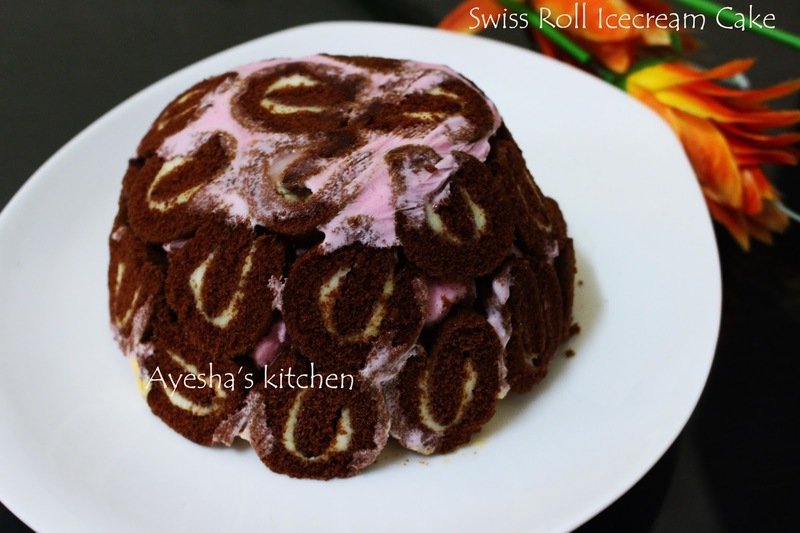 Swiss roll ice cream cake is basically an ice cream cake enveloped in Swiss rolls. 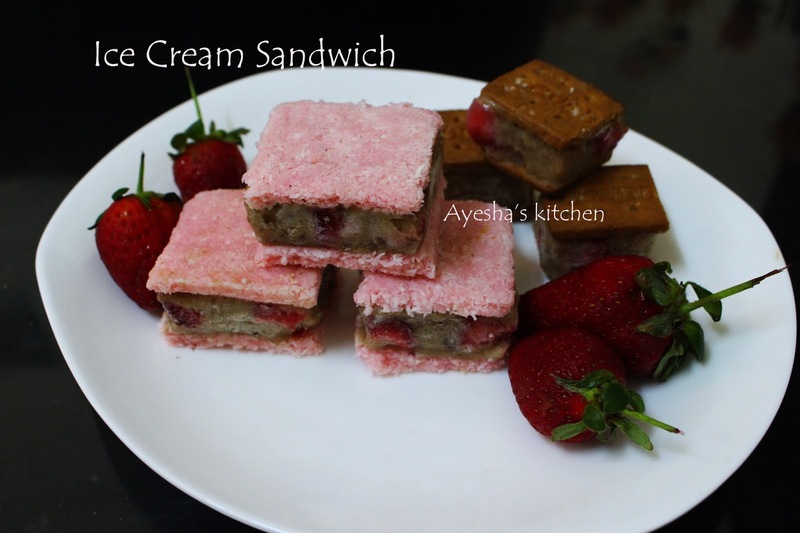 You can either buy the swiss roll / cake roll from grocery or can make by yourselves with your favorite filling. Here i used store bought chocolate swiss roll with vanilla flavored cream filling. Always use your favorite ice cream for this cake because this cake is all about ice cream. 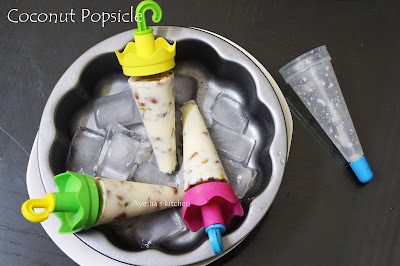 I used strawberry ice cream and mango ice cream. Hope you all will love this recipe for ice cream cake. 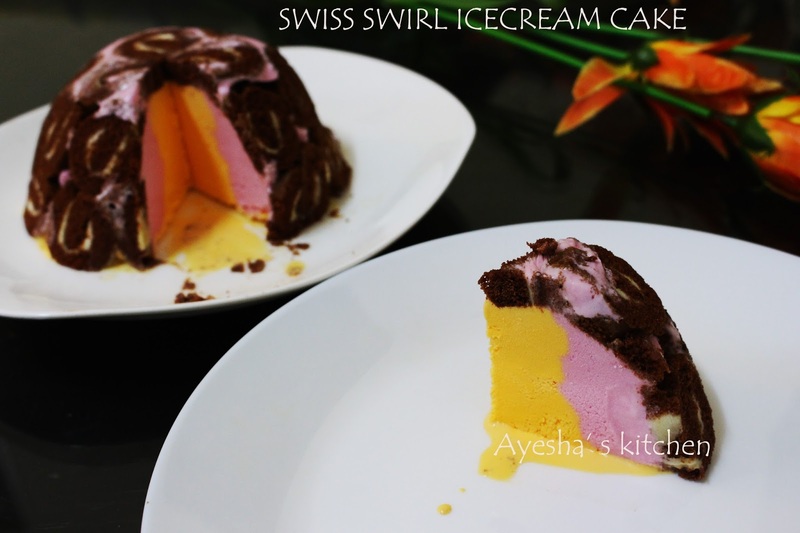 So lets see how to make this outstanding ice cream cake..
You can choose your favorite ice cream and swiss roll. Keep the strawberry ice cream at room temperature. We need ice cream to be soft (not melting). 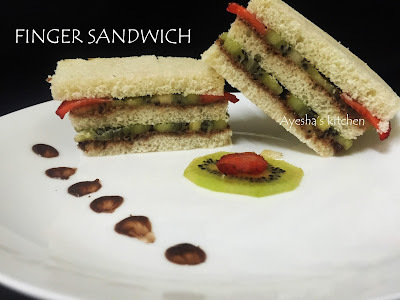 Cut the Swiss roll in equal size and i used small swiss roll. So need 20- 22 slices to fill the bowl. Line the bowl with cling film and make 2 layers with the cling film. This makes easy for us to pull the cake out. So do not skip this step. 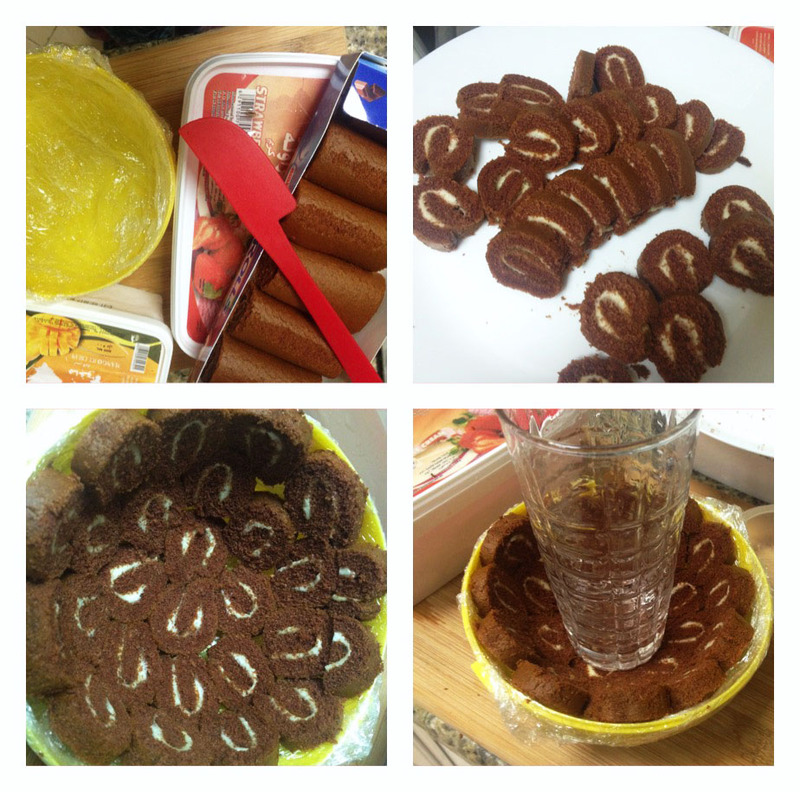 Line the swiss roll inside the bowl close to each other. Fill all the gaps . 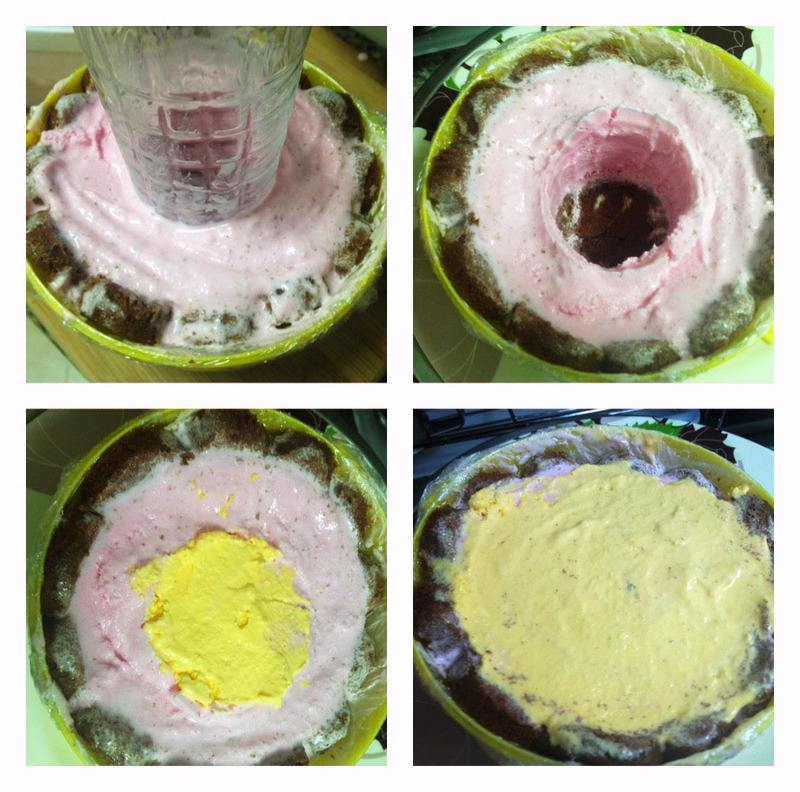 Once the swiss rolls are done inside the bowl, keep a glass cup in the middle and fill the remaining space with strawberry ice cream. as shown in the pic. Now freeze for one hour (along with the cup) until the strawberry ice cream sets. Once sets, take out the glass cup and fill that space with mango ice cream. Level it very well, cover the top with another cling film and freeze until sets ( took 2- 4 hours). For best results..Keep overnight. Once the ice cream becomes solid, take out the cake along with cling film and invert it onto a tray. Remove the cling film and cut into desired shapes.